It’s time to cozy up with the BEST Easy Healthy Lasagna recipe for dinner tonight. 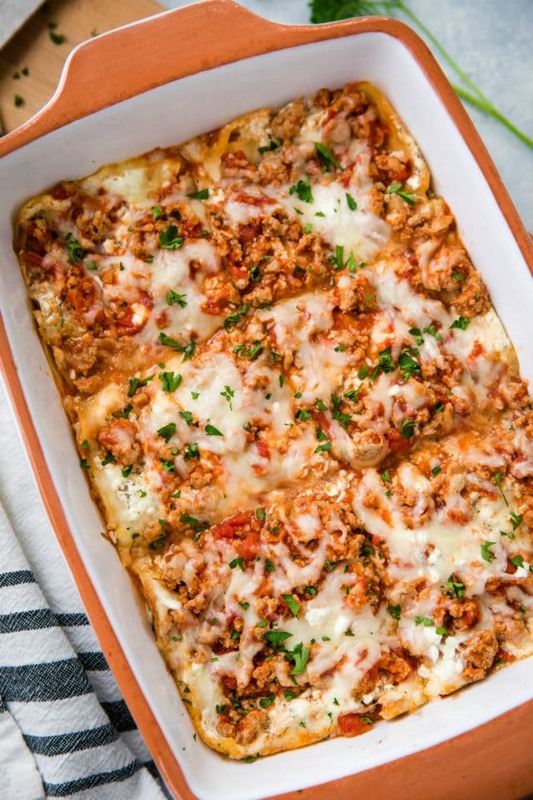 All of the goodness of classic lasagna, but lightened up and packed with protein for a skinny version of the traditional recipe! If you want major comfort and flavor, you’ve got to add this family-friendly dish to your list. Easy Healthy Lasagna is the quintessential winter meal that must happen in your life. Let me show you how simple this one is to whip up! I even made you a visual! Lasagna doesn’t fall under the category of “classic health food,” but with a few simple swaps and some careful grocery shopping, you can eliminate all things funky while still using some store-bought shortcuts! You can use any variation of the ingredients listed below. 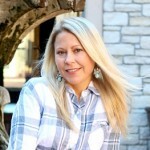 I tried to keep the lasagna as light and full of protein as possible and my husband and kids still raved about this dish. Lean ground turkey – I used 93% lean ground turkey. You could even try the Italian seasoned ground turkey, but my store was out when I went to pick up items for this recipe. Even with out the Italian seasoned meat, my lasagna came out super flavorful. Try to get organic, free-range raised in the USA on 100% organic, all vegetarian, non-GMO diet with no antibiotics if possible. Marinara – You could definitely make your own, but there are some really great store-bought options out there. Look for a variety that is made from all real food ingredients (no weird words) and doesn’t list sugar as an ingredient. 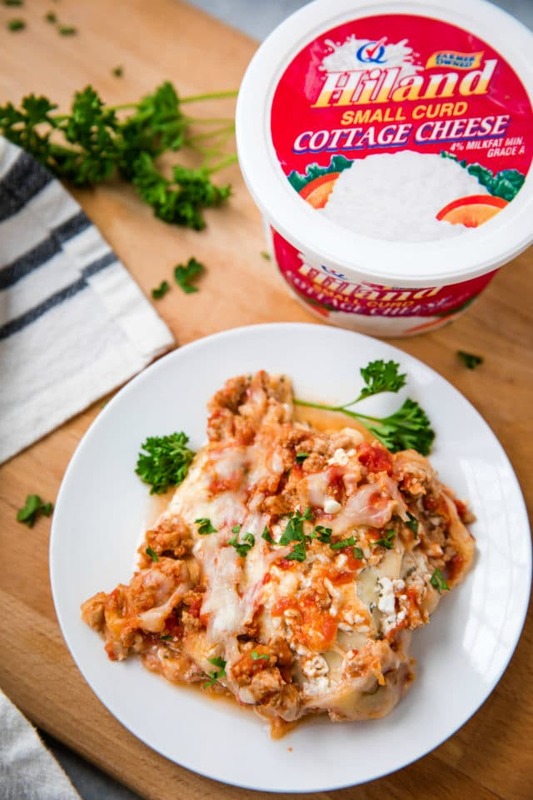 Cottage Cheese – This is where the unexpected superfood, Hiland Dairy Cottage Cheese, makes this Easy Healthy Lasagna so creamy and full of added nutrients and protein for a perfectly balanced meal. They even have a fat free variety available that I usually use for this recipe, but my store was out when I purchased items for this meal. I love that I can use Hiland Dairy Cottage Cheese as a high-protein, tasty snack or include it in recipes like this for a more nutritious spin on an old classic. Mozzarella – If possible, try to avoid the mozzarella that comes pre-packed and shredded. It contains an ingredient called cellulose (anti-clumping) and you just don’t need it. At my grocery, I purchase the mozzarella from the deli and ask them to shred it for me (yep.. I’m lazy like that). Also, if possible, try to use a light cheese variety. Lasagna Noodles – You guys… no boil is where it’s at! So much easier than pre-cooking. I use whole wheat oven ready noodles and I’ve never had a complaint. Prep: The meat sauce and cottage cheese mixture can be made up to 3 days ahead of time if stored in the refrigerator. Make Ahead: Assemble lasagna and cover it with plastic wrap. Do not bake. It will keep in the fridge for up to 3 days. When you are ready to serve, remove it from the fridge and allow it to come to room temperature. You can then bake it according to recipe directions. 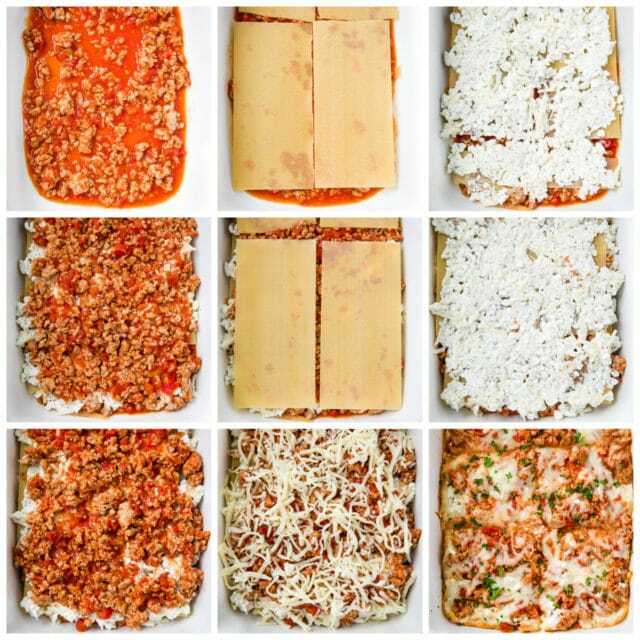 Freezer: Assemble lasagna. Place a piece of plastic wrap directly on top of the lasagna. Cover lasagna pan tightly with clear wrap. Store in the freezer for up to 1-2 months. Many times when I make this for dinner, I make two – one to enjoy right away and one to freeze for later. Have you tried Hiland Dairy Cottage Cheese? Check out the Hiland Dairy site for a chance to win prizes worth $200, earn savings, and learn new recipes! Up for grabs is a blender, mixing bowls, measuring cups & spoons, and product coupons!